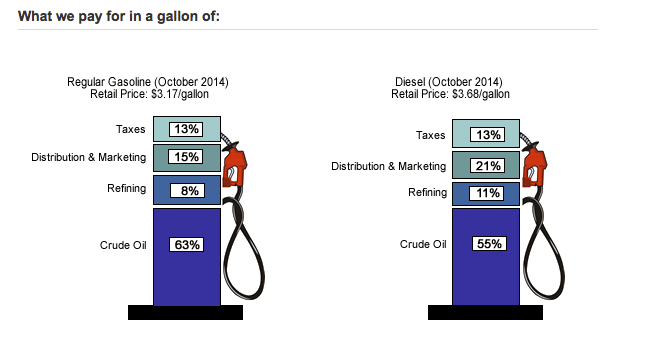 Whether or not OPEC is dead (see here), today's gasoline prices are in line with simple inflation. Which means, I assert, that supply and demand are pretty much matching up. Fifty years ago, a gallon of regular gas cost $.33. Adjusting for inflation, the current price ought to be $2.53. In my area, the current price is hovering around $2.55 in most regular retail outlets +/- a couple of pennies. Might be slightly higher in your area. 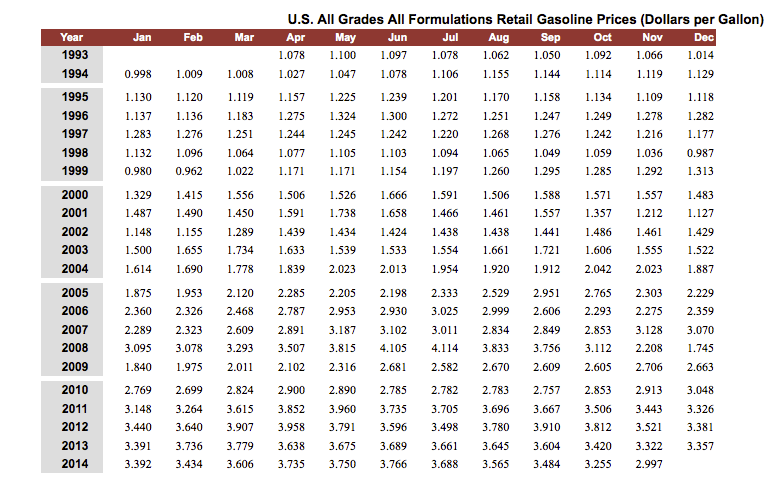 You might ponder the additional costs placed on refineries since 1964 in order to decrease air pollution which is being passed on to the consumer. Does supply drive down prices? Well, yes, supply and refinery capacity. Probably can't drive prices low enough to starve ISIS, though. See here.